As a resident of Hillsdale, with a 41-year banking career, Mr. Connor began his career at Litchfield State Savings Bank/Michigan Bank Midsouth, then later accepting employment at Adrian State Bank. He served in the positions of Commercial and Agricultural Lender, Compliance Officer, and Vice President of Mortgage Lending. In 1993, Mr. Connor joined CNB in the position of Senior Loan Officer. Mr. Connor successfully navigated the Bank though the financial crisis of 2008. CNB not only survived, but thrived during this difficult period, primarily as a result of the strength of the Bank’s loan portfolio which Mr. Connor supervised for most of the preceding fifteen years. 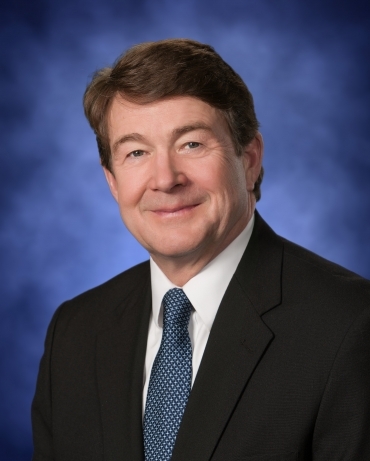 He became a member of the Michigan Bankers Association Bank Management Committee in 2004 and was elected to the board in 2012. Mr. Connor strives to help others in this field success and guide them to a brighter future through innovative collaborations and ideas. Throughout his career, Craig has been an active member of the community. He serves on the Board of Directors of the Hillsdale Hospital, as Chairman of its Finance Committee. Previously, he served the Board of Directors of nonprofit organizations including the Hillsdale County Services Center and the Hillsdale Chamber of Commerce. Craig also served for several years as a member of the board of the Hillsdale Board of Public Utilities, a local municipal utility. In addition to his community participation, Craig has contributed to the community by serving as a youth hockey and soccer coach. The MBA will be honoring Craig Connor at its 133rd Annual Convention on Mackinac Island in June. About the Michigan Bankers Association The Michigan Bankers Association (MBA), the voice of the banking industry since 1887, consists of Michigan financial institutions with more than 2,800 branches located throughout the state. The MBA promotes strong communities and economic activity in Michigan by advancing a positive business environment. MBA assists banks by offering products and services to reduce expenses and increase profitability through the strength of the association. For more information, visit www.mibankers.com. About CNB Community Bancorp, Inc. CNB Community Bancorp Inc. (OTC:CNBB) is a one-bank holding company. Its subsidiary bank, Hillsdale County National Bank (“CNB”), is a nationally chartered, Bauer 5-Star rated, full service community bank that includes Trust and Investment service divisions, which has been serving South Central Michigan since 1934. CNB has grown to over $662 million in assets and is headquartered in Hillsdale, Michigan. CNB provides a wide array of financial products and services in its 12 full-service offices and 18 ATMs.